A traditional version of the Scottish classic shortbread. Lightly grease a baking sheet with butter and sprinkle a little bit of semolina over it, this will stop the biscuits sticking. 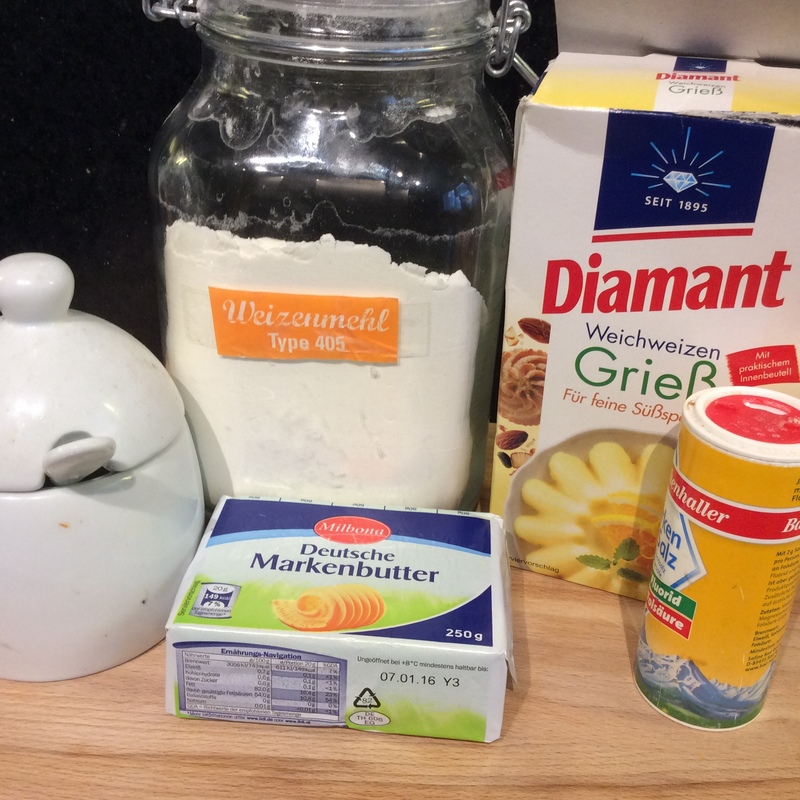 In a mixing bowl cream together the flour and sugar. Add the remaining ingredients to the bowl and mix until it looks like breadcrumbs or is just starting to come together. Lightly form the mixture in ball. 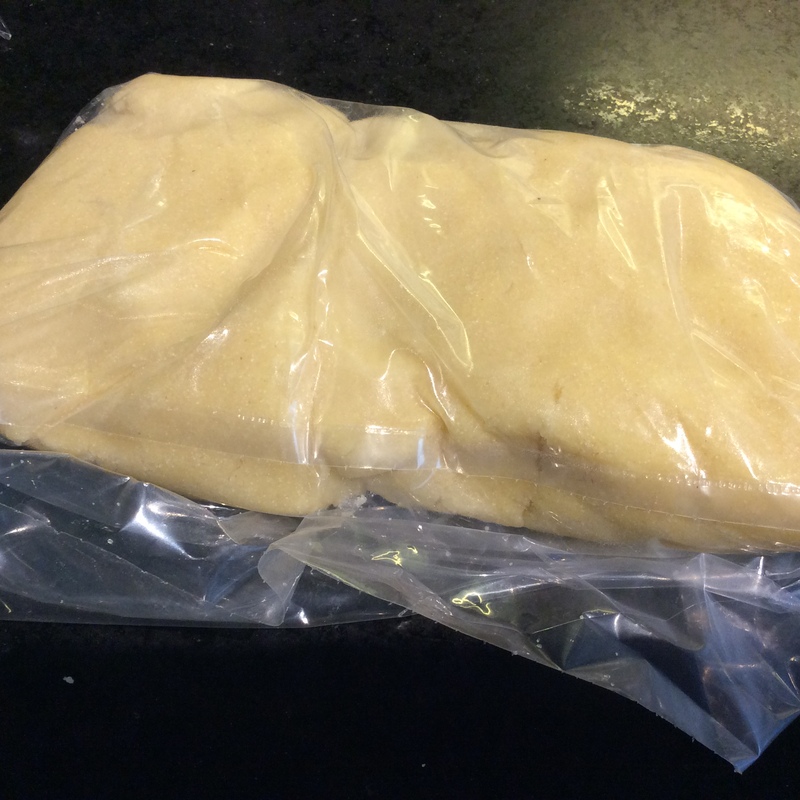 Place into a freezer bag and leave to rest in the fridge for 15 to 30 minutes. On a board lightly dust it with flour. Roll the dough out till it is about 5mm thick. 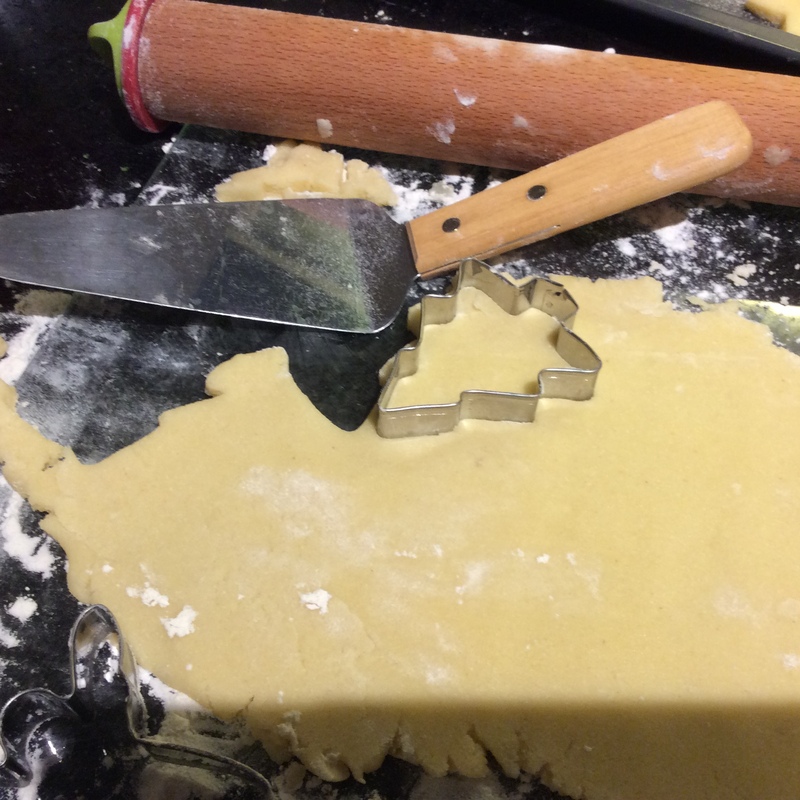 Use a cookie cutter or small glass and cut the dough out into the shapes. Place on the baking sheet, leaving some room for expansion. 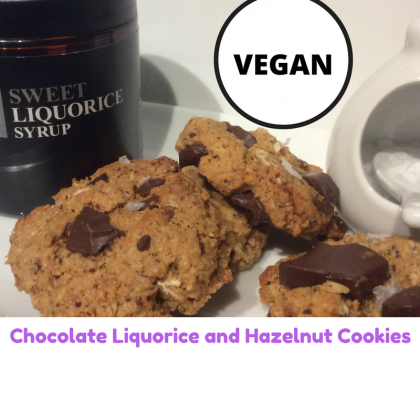 Re roll the dough and continue to cut out cookies until you have used all of the mixture. Prick the top of the biscuits 3 times with a fork, this helps stop the biscuits from rising too much and sprinkle with a little extra sugar. 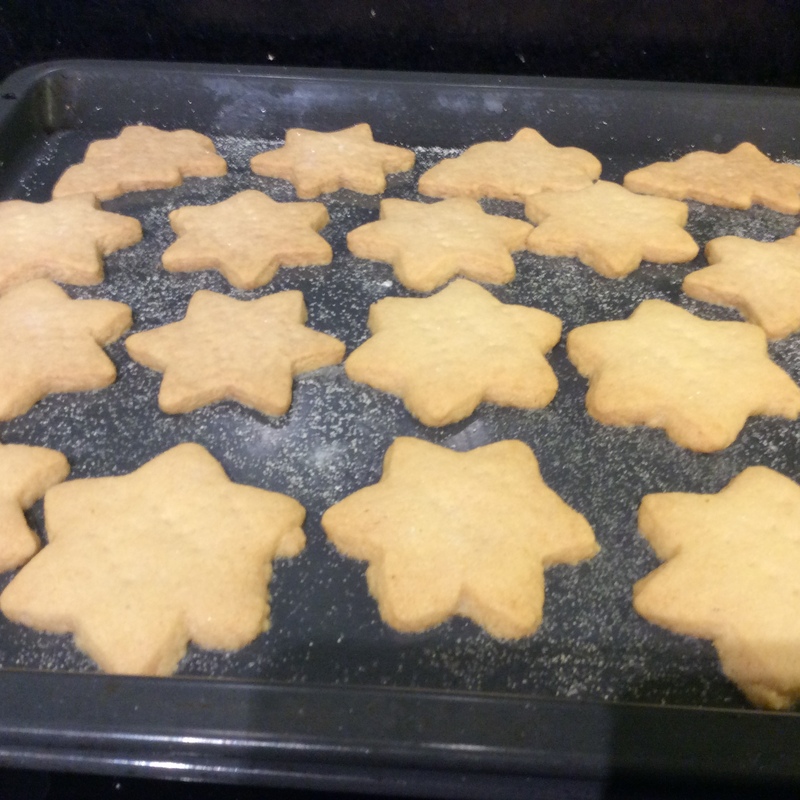 Cook the shortbread for 25 to 30 minutes until the biscuits have gone slightly darker in colour. Leave the biscuits to cool on the tray for ten minutes before removing to a wire tray to cool completely. Store in an airtight container, they will keep for a couple of weeks. 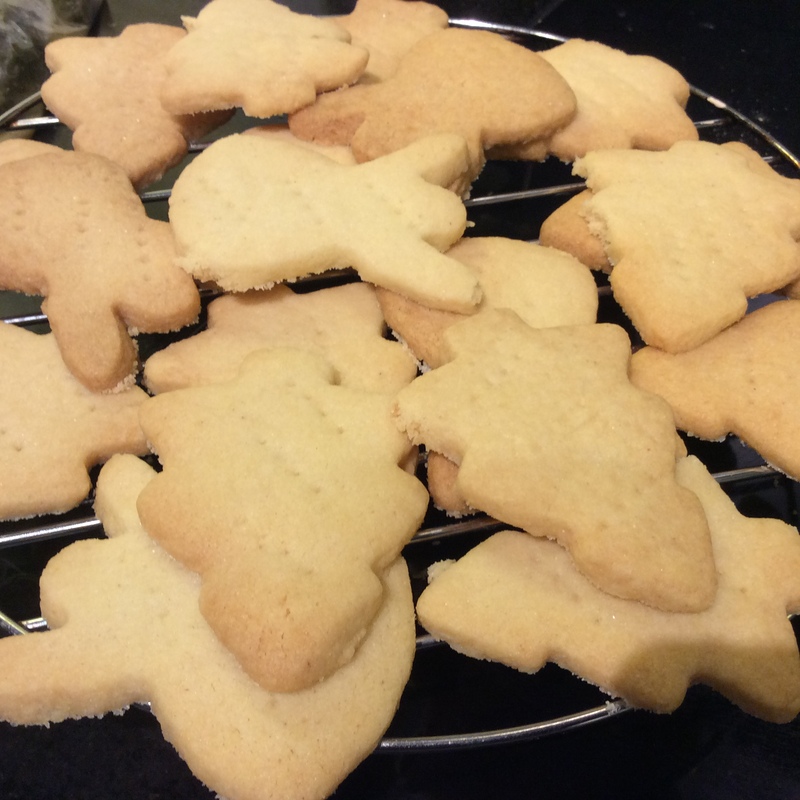 Its almost Christmas and that means it is time for traditional Scottish shortbread. 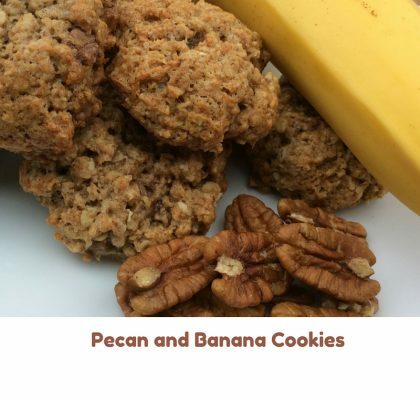 I have lost count of the number of times I have made this recipe and the number of years. In the summer I use the biscuits as a great base for cheesecakes in the winter they make great christmas goodie bags for friends. 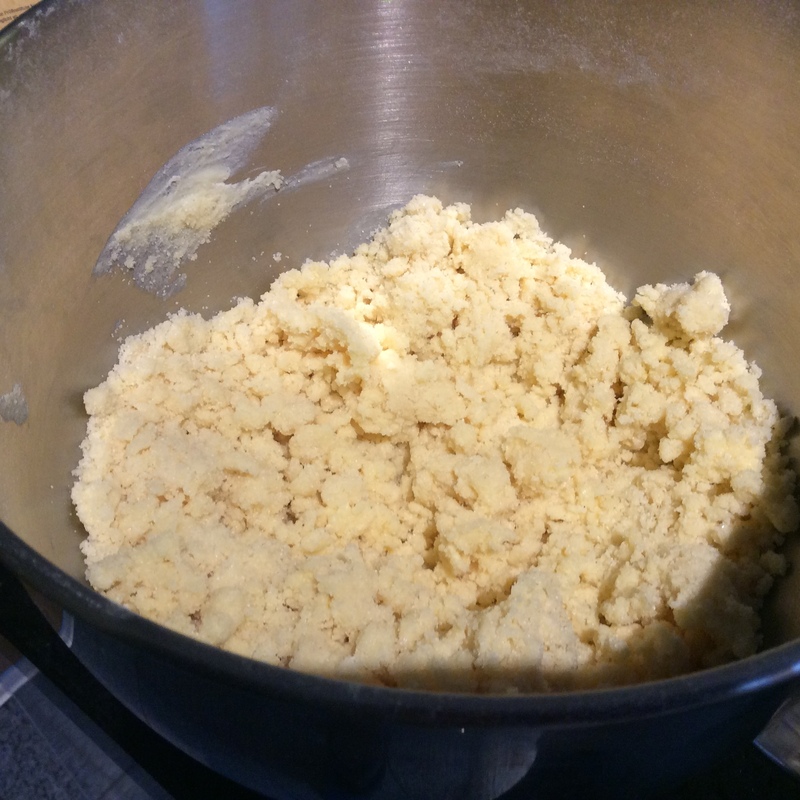 The secret to great tasting shortbread is butter. Shortbread is not a bread at all but is a very buttery biscuit. “Short” in cookery terms is used to describe a crumbly texture. To ensure you get this texture you have to mix the dough gently so that you don’t get a tough biscuit. 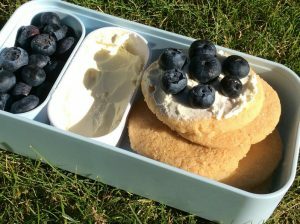 Don’t miss out the chilling stage as this stops the biscuits from spreading too much and ensures that all of the butter stays in the biscuit! 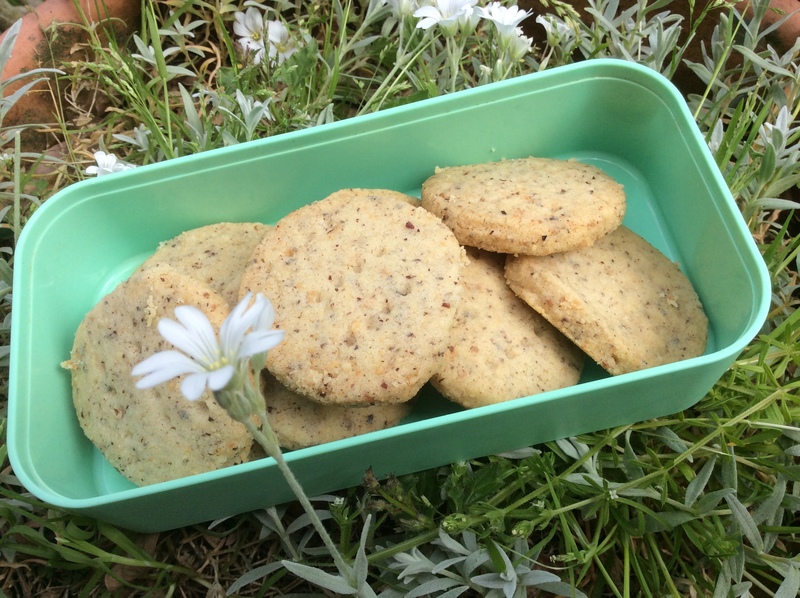 If you have some diabetic or friends cutting back on sugar you can also try my lemon and chia seed shortbread. 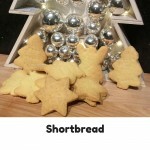 If you haven’t got any christmas cutters you can use a small glass and make round shortbread instead. 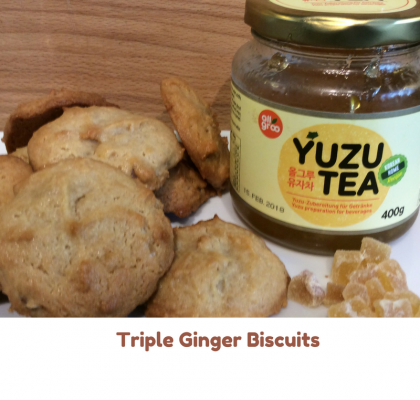 The classic version is definitely not low calorie but really delivers on flavour, hope you get a chance to try these. 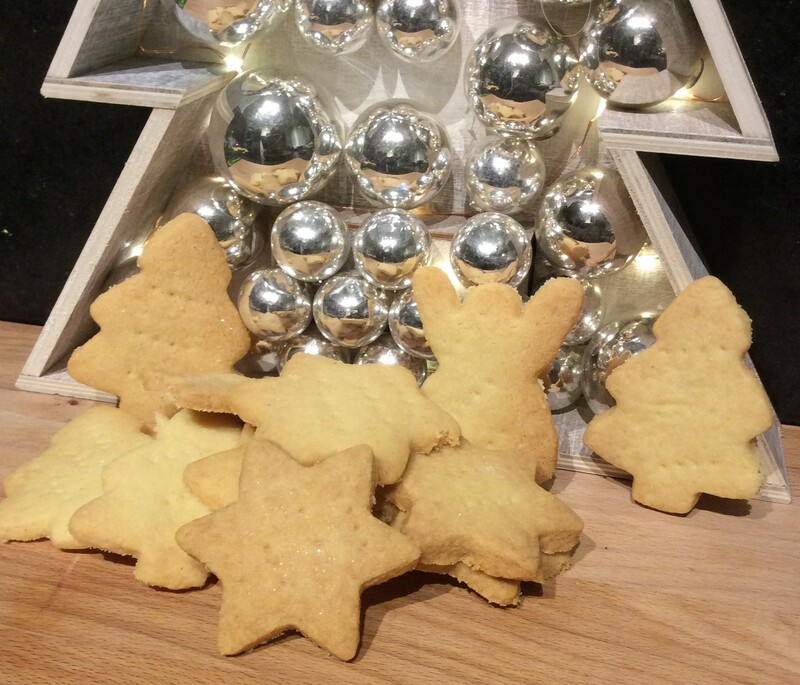 Shortbread doesn’t just have to be for Christmas. It can also be used to make a simple cheesecake. Simply spread biscuits with some cream cheese and top with your favourite summer berries. The ones shown below were great tasting energy food for a cycle trip. For a more nutty flavour you can make Hazelnut shortbread by replacing the semolina/ Greiss with ground hazelnuts I also added a teaspoon of vanilla extract. All of the other ingredients remain the same. This variation got a big thumbs up from the Duesseldorf expat cyclists.